You’ve heard the TV commercial promoting the “one-day bathroom”. Tub or shower wall panels SO revolutionary the crew will come today, and you’ll be enjoying your new shower or tub alcove by tomorrow. You’re intrigued and set an appointment. A hard-charging salesperson shows up pushing thin acrylic panels. The ONLY way you can get the AMAZING benefits of these panels is to have them professionally installed by his company. If you don’t sign today for this once in a lifetime “special”, you ’ll have to live with your mold-infested tile grout joints forever. 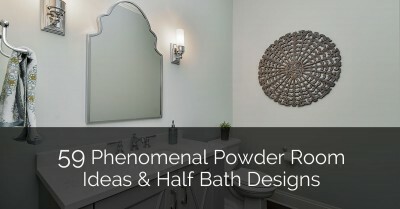 He has the one and only solution for your tub and shower alcove problem. Now, sign at the bottom line before it’s too late. Your family’s health is at stake. This pushy thin-acrylic wall panel salesperson is selling you lies. 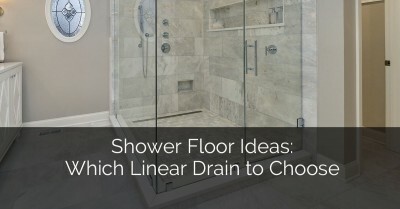 Choosing the right tub and shower wall panel system is not a one size fits all proposition. There is no one “best” system. There ARE other great options – even if some high-pressure in-home salesperson tells you otherwise. The goal of this article is simple: to find the best system for you – whether you want to DIY the job or leave the “driving” (or installing) to others. 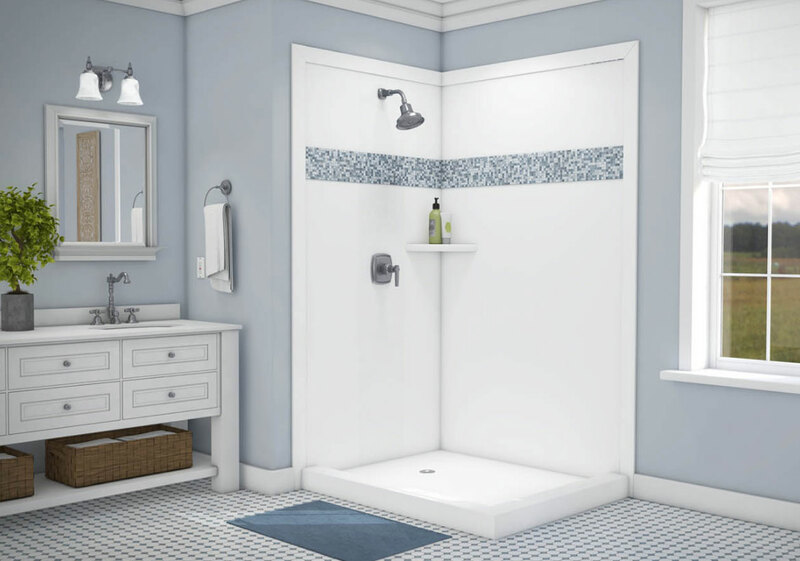 Now, let’s review the 5 biggest myths of shower and tub wall panels. 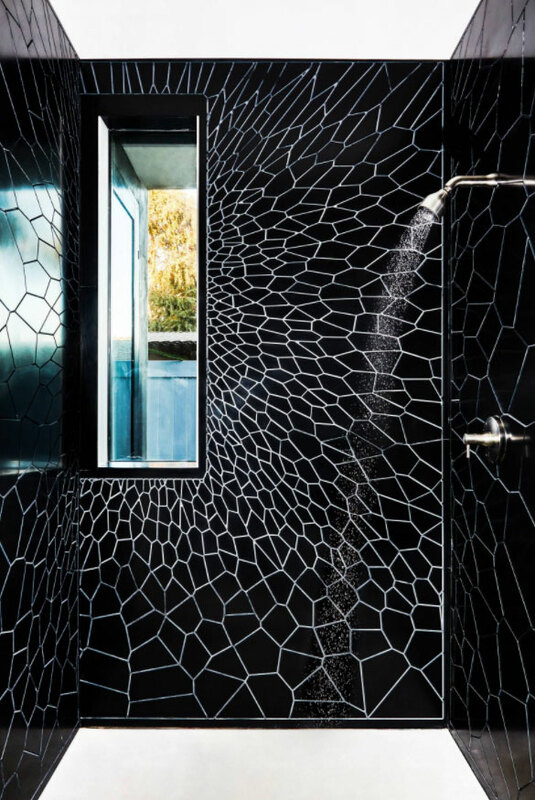 Innovate Building Solutions – This contemporary bathroom features “Calabria” shower wall board. It is also featured on the tub deck. This material is waterproof and has no joints to minimize maintenance. The ONLY type of grout free shower wall panels available is made of acrylic. 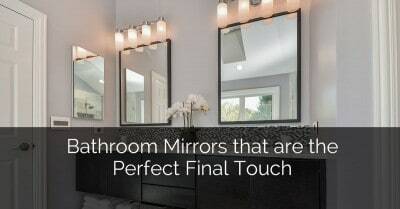 They must be bought and installed through a “one-day-bathroom” sales guy. 1/8” thick acrylic shower wall panels sold by a “‘one-day-bathroom” salesperson is by no means the only shower wall panels out there. In many cases, they aren’t the best option because acrylic is thin and hard to work with (the black butyl tape they are installed with is messy and the acrylic expands and contracts making it harder to work with than you may think). Option 1 – PVC composite decorative stone panels – This faux stone DIY wall panel is 2x thicker than acrylic (at ¼”) and super-simple to install. It has 3” wide trim moldings which cover over your cuts (if you make a cutting error it is hidden behind the 3” wide molding). Option 2 – Solid surface wall panels – Most people don’t know what the term solid surface means. When I tell them, it is like Corian®, then they get it. These wall panels are 3/8” thick, not difficult to cut and come in smooth, subway tile and stone tile looks for the appearance of real tile – without grout joint maintenance. 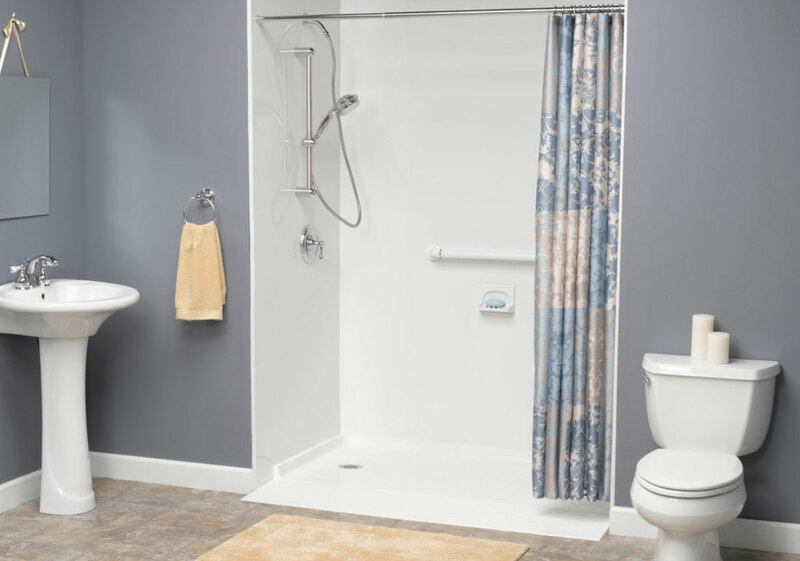 Option 3 – Fiberglass wall panels – If your budget is small – and you have a standard sized tub or shower – fiberglass panels are a sound choice. The selection and patterns are boring, the material is thin (even thinner than the acrylic)– but if you’re looking for a cheap fix or to flip a home – fiberglass can do the trick. 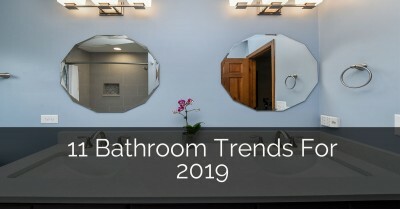 Option 4 – Contemporary high gloss wall panels – Offering the look of back painted glass (without the cost), these panels are popular for the minimalist who wants a sleek contemporary Euro-style bathroom. 7 fun colors will make your shower or tub a show-stopper. Warning – high gloss panels are not cheap. 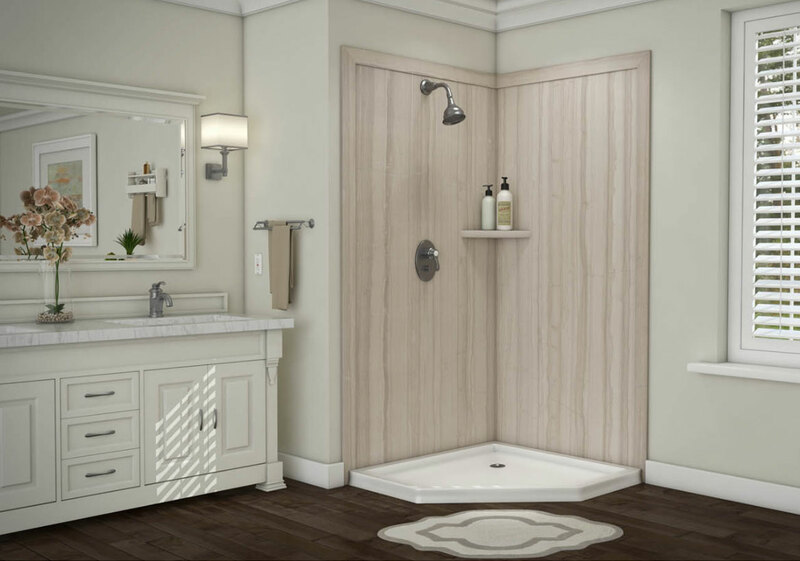 Option 5 – Laminated shower and tub panels – I believe this European product – which is being introduced in the United States later this year – will sell like hotcakes. These panels look and feel like tile (even the joints between the faux tiles feels real). They snap together during the installation process. They require no grout maintenance. Very cool. If you think you’re getting a one-piece wall panel system, you’re likely being fooled. You want to remodel your home and get a completely seamless wall panel system. No joints anywhere – even in the corners. If you’re building a new home this is possible using standard, not-very-exciting fiberglass units which are brought in before the home’s framing is complete. 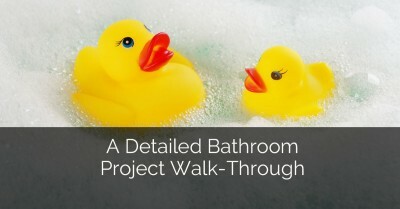 In remodeling – even if you wanted a completely seamless unit – it won’t fit through your door! Some acrylic salespeople will claim they have a one-piece system which is bent at the corners. The reality is they still use trim pieces around the edges – so it ends up not being a true one-piece system. The best option for a remodeling project, no matter if it’s a standard or custom size, are separate panels for each wall. If you have a long wall (greater than 60”) you can still get a continuous panel without a seam using 3/8” thick solid surface. Sure – it’s nicer to have thicker (3/8” thick) panels which are more scratch than a thinner choice (less than 1/8” acrylic or fiberglass). The reality is when thick or thin panels are adhered to the wall, both systems will do the job and be waterproof. If your budget is tight it’s OK to use the cheaper, thinner panels. The one word of caution is to make sure whatever thickness you use – install them with the manufacturer recommended adhesives. A great product which doesn’t stick properly is a disaster. Innovate Building Solutions – This accessible shower uses an acrylic shower wall system with a barrier-free entry. Custom sized showers are not possible with grout free wall panels. You must use tile for these projects. This tall-tale is kept alive by not-very-knowledgeable remodeling contractors and those wearing the orange smocks at your local home center store (who only carry standard shower and tub kits). Here’s a fact for you. You can get a custom sized solid surface shower panel as big as 144” x 100” (although I doubt it will fit through your door!). If solid surface doesn’t thrill you, the PVC composite and high gloss panels have seam pieces to go beyond the standard 48” and 60” wall panel sizes. 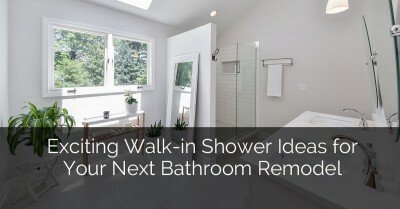 Don’t settle for tile if you have a large walk-in shower. 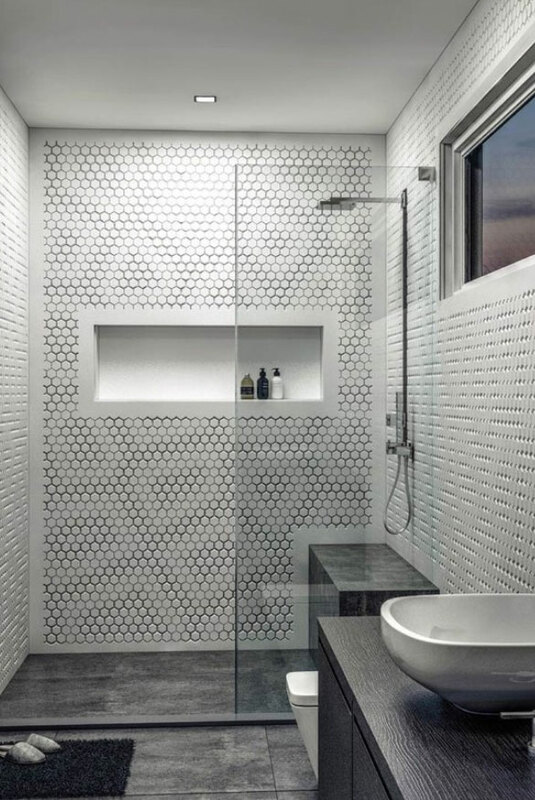 Long wall panels do exist to make big showers work. 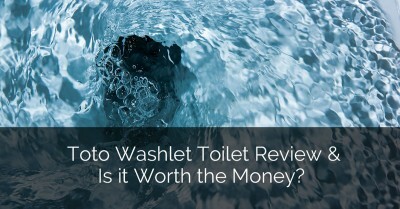 They will help you dump your nasty tile scrub brush once and for all. You need special tools to do the installation. Doing any DIY project can get WAAAAY more expensive if you end up buying special tools to do the job. In these instances, you would have been better off hiring a contractor. The fact is most shower and tub wall panel jobs can be installed with simple carpentry tools. Some popular tools used include jig saws, routers, table saws, hole saws, carpenters knife, and drills. Don’t chicken out tackling this job because you don’t think you have the tools. Ask your material wholesaler what tools are needed. Read the installation instructions (although this can be worse than a needle stick in your eye or eating liver). Watch any installation videos you can get your eyeballs on. 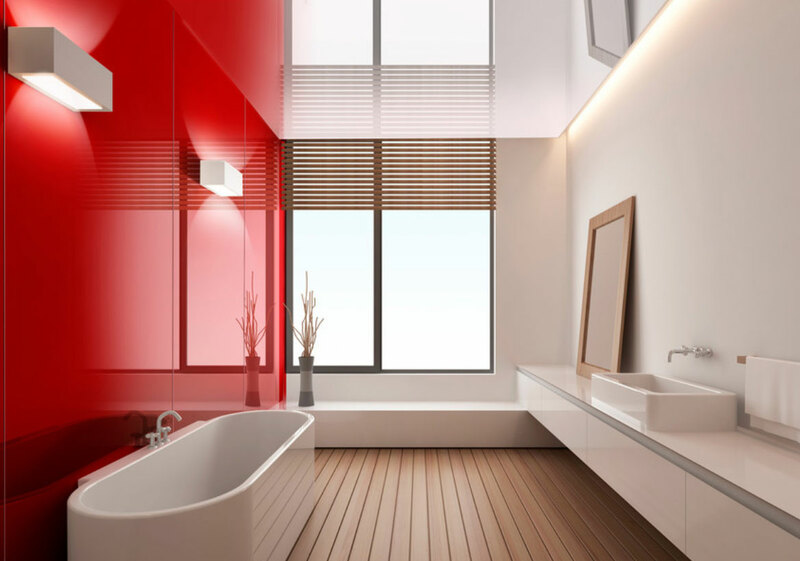 Innovate Building Solutions – This sleek bathroom features high gloss acrylic wall panels in “red rougher” color. Provides the look of back painted glass at a more affordable price. 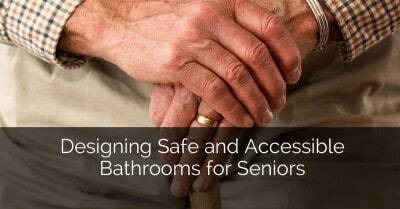 Don’t be scared of using shower and tub wall panels. 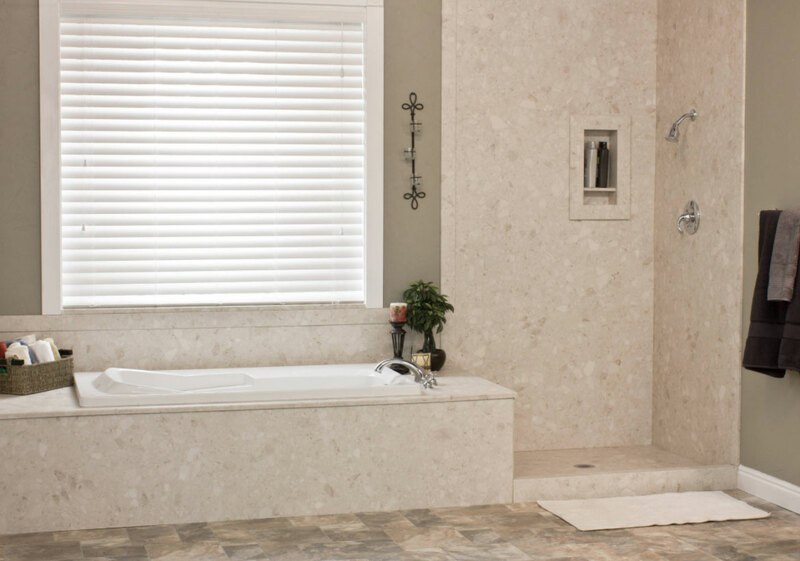 Seek out a grout free shower and tub wall expert (with multiple product options) to help you find your best choice and installation approach. Thanks to our guest writer: Innovate Building Solutions who offers 4 lines of wall panels for DIY wholesale or professional installation. 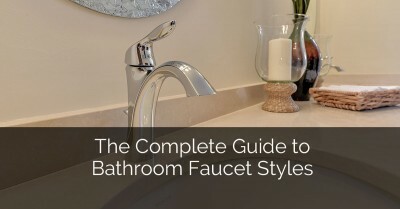 I am doing my master bath and this was very helpful. Hey. Thanks a lot for your website. I am looking for suppliers of wall panels here in the states. Any suggestions? Hi Paul, I do not have any great recommendations, however Angie’s List is a great spot to look up reviews for contractors in your area. Have a great day! What a fabulous idea maker you are! I really appreciate your hard work. Most of the time I try itself but fail. It success by following you. How to clean shower door dust which freezes in the bottom? Thanks for your great effort.